Earth Day & Arbor Day – two days in April to honor our Earth! Do you remember planting a tree for Arbor Day? Do you know the meaning of Arbor Day? This day was set aside for tree planting back in 1872 by J. Sterling Morton. He was a pioneer who traveled from Detroit, Michigan to Nebraska. The pioneers missed their trees and decided to set aside a day for tree planting. The trees were important for fuel, to keep soil in place, for wind breaks, for building supplies and to offer shade from the hot sun. Want to learn more & see pictures of this historical day? Check out this brief online book. As a young child I remember watching our principal plant a tree in the school yard in honor of Arbor Day. Every year a new tree was planted and a little ceremony held discussing the importance of trees. 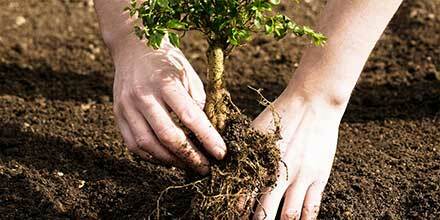 Check out this interactive map and find out when your state celebrates Arbor Day. Did you know that Earth Day started in 1970 to raise awareness of environmental issues such as clean air, climate change and clean water? In four years, we will celebrate the 50th Earth Day. Both of these special days encourage us to increase our awareness of our environment and to honor and nurture a wonderful natural resource, trees. What can you do to honor our Earth? Find out the state tree for your state. Hint: Ohio’s state tree is the Buckeye. 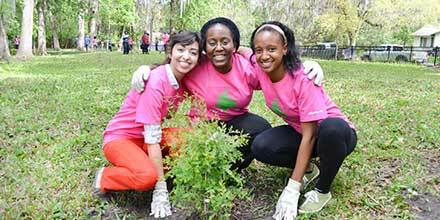 Did you know that college campuses can meet standards to become a Tree Campus? I was happy to see that Ohio State University met the standards to be a Tree Campus. 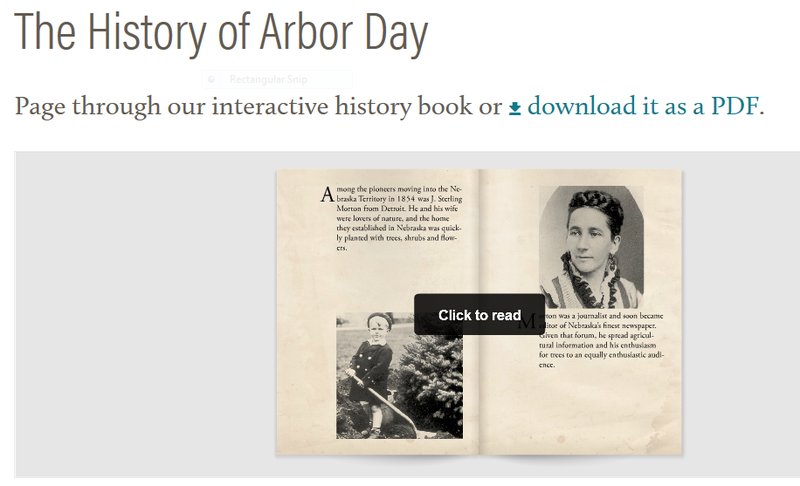 Does your favorite university honor Arbor Day?